Who doesn’t want dark, thick, full lashes? If you have thin lashes, wearing false lashes or mascara all the time can be expensive and inconvenient. Fortunately, there is Latisse. The popularity of this amazing treatment for eyelash growth continues to grow. Available only by prescription, Latisse is available at the Skouras Eye & Cosmetic Centre. Latisse is a topical solution that is gently applied at the base of the upper lash line using disposable applicators. Latisse is recommended for daily use for the first 6-8 weeks, decreasing to once every other day once you reach a maintenance period. Researchers discovered Latisse’s eyelash-enhancing potential as a side effect to its original use as a medication. 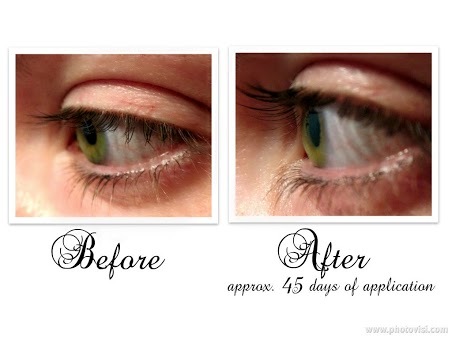 It is believed to launch the growth phase of eyelash hair by increasing the duration of the growth phase. Results from Latisse treatment are usually apparent within 4-6 weeks of the first treatment. Latisse results should last as long as you continue treatment; however, your eyelashes will return to their normal appearance if you stop using Latisse. Though rare, there are some potential side effects of Latisse, including red and/or itchy eyes, darkened skin around the eyelids and, very rarely, brown pigmentation in the iris. Latisse is guaranteed effective and can be used in the comfort of your own home. Latisse grows your natural lashes so you never have to worry about damage that sometimes occurs with other lash treatments, such as extensions. Because Latisse grows your natural lashes, should you decide you no longer wish to continue treatment, you can discontinue using the product and your eyelashes will return to their original length and fullness. To learn more about the transformative effects of Latisse, please contact Skouras Eye & Cosmetic Centre in Toronto by calling (416) 590-0445 or sending us an email today.